To keep growing amounts of marketing data in check, enterprises and growing businesses implement digital asset management systems to organize, share, and distribute marketing files. Small businesses can sometimes get away with simple storage tool like DropBox, or an FTP site, but it can get complicated and confusing as networks grow with a large partner, franchise, or dealer network. 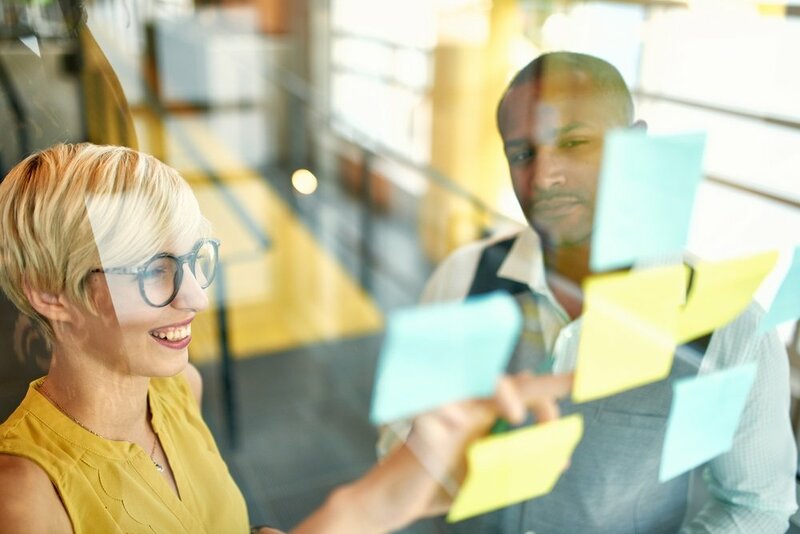 As a growing business or enterprise that's not ready for change, there might be some reservations on getting implementation started, but there are simple steps that can ease the process and deliver faster results than expected. Organizations typically realize the need for digital asset management (DAM) systems when there's an increased amount of friction around their assets. Frustration from designers and local marketers can arise when important documents are scattered across systems and become hard to find without asking for help. Teams can end up using the wrong assets, create unnecessary duplicates, and developed unaligned messaging. These problems all lead to wasted time, which directly correlates to money and resources lost. If these scenarios are a common occurrence across your business, it may be time to implement a DAM solution. Implementing DAM systems can have an enormous impact on marketing teams, both corporate and local. For one, by improving the speed of distribution using shared software across channels, DAM can deliver faster product launches, ultimately increasing revenue. By reducing waste from duplicates and keeping databases organized, making it easier to find documents, this saves time and drives productivity. Collaboration among departments, teams, and individuals is a huge time saver as well. By centralizing assets and essentially standardizing the marketing and design process, communications become clearer and employees can get more done. There are many more reasons why DAM systems benefit businesses, so why aren't they all jumping on the bandwagon? Sometimes it is as simple as a fear of the implementation process. Integrating a new tool across multiple business locations is a scary thing to do for any department. What if there are high costs or it takes a long time to go live? What if people don't like it? These are all reasonable reservations to have, but there are simple steps businesses can take for a successful implementation. What types of digital assets do you most need to manage above all others? There's probably not a single "right" answer to this question. For you, it could include marketing collateral templates, web templates, photos, logos and branding elements, or designs for email. Approximately how many digital assets do you own? Are your local partners uploading assets? Is sales using their own collateral? Do a little investigating and find out how many assets are out there and how many actually get used in the field. How many ways does your company use a single asset? Different use cases may require different functions. Factors like multi-language marketing and cross-channel uses may require a more complex DAM. You may also value reporting data and graphic insights into how your assets are being used across channels and departments to help drive results in the field. To make processes faster, built-in workflows for creative approval, user permissions, and budget management are also features to consider for your marketing teams. Your DAM system needs to work for everyone in your marketing process - from your creative director to marketers at the franchise-level. By understanding the technology from each perspective, you can better assess the features they will benefit from. Local partners need the ability to only edit the correct information on creative assets, while maintaining brand compliance. Graphic designers need the ability to attach creative briefs to individual assets. Creative directors need the ability to "lock" certain features of templates from being edited. Brand managers need the ability to control which partners can access specific assets. For top casual dining brand The Melting Pot, a simple asset management tool wasn't enough to meet the varied needs of their franchisees. The basic features of their tools weren't necessarily tailored to enterprises with multiple locations. By implementing CampaignDrive by Pica9, The Melting Pot was able to ease the process of turning raw Adobe InDesign files into templates that their franchisees could use. In this case, purely giving franchisees access to files wasn't enough. They needed a local marketing tool with the intelligence to make distributed marketing easier and more effective. CampaignDrive is a digital asset management platform designed for the unique needs of multi location enterprises and franchise businesses. Our product helps marketing and design teams across business locations centralize and distribute their content across the business to save time, resources, increase productivity, and deliver consistent branding. To learn more about how CampaignDrive can help connect your teams for better efficiency and brand security, request a demo today.